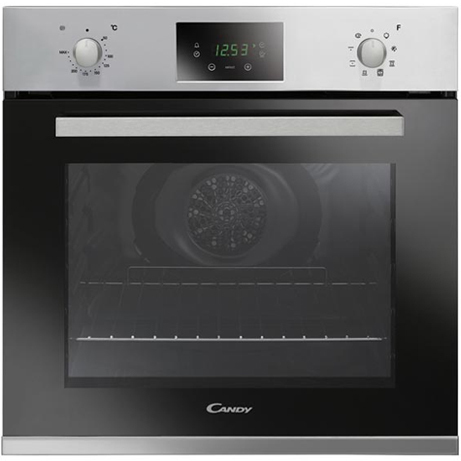 This Candy Single Oven is boasts a modern stainless steel and black finish and will fit seamlessly into all types of kitchen. The sleek style, multiple oven features and programmes are designed to meet every need and as such it creates a perfect match between the essential elegance of the range and the most advanced Candy technology. This Candy single oven is perfect for medium-large households. Boasting 65L of cooking space with two interior shelves there is plenty of space for family meals and entertaining. It features a modern/high quality stainless steel design that won’t collect fingerprints and a sleek double glazed glass door which locks in heat and allows you to easily check up on your food. The in-built design is great for creating a seamless kitchen look, this can be fitted into and already existing housing under your counter or in a column. It’s equipped with simple dial controls, so it’s easy to get to grips with. From here, there’s multiple cooking methods to pick from, something to suit every dish. From full fan cooking for speedy meals to the pizza function for a perfectly crisp base. You’ll also be able to defrost food in this oven, which is ideal if you forget to lift food out of the freezer the night before. The defrost function will circulate room temperature heat around the food, defrosting it safely and hygienically in minutes and it doesn’t affect the foods quality either. 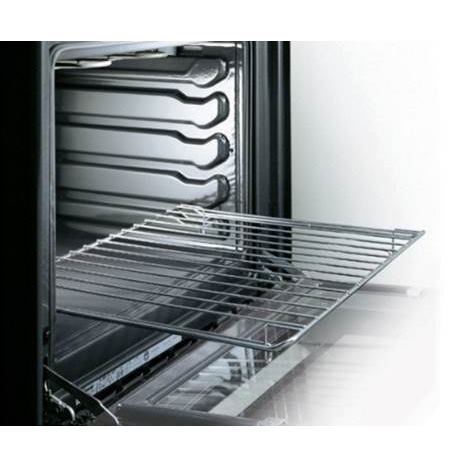 The oven includes two safety shelves which ensure that if you pull a shelf out to take a closer look there’s no risk of them falling and spillages are reduced. You’ll also get the grill pan and handle set and a roasting tray. The oven has a handy enamel interior, so you won’t need to put too much elbow grease into cleaning it out. 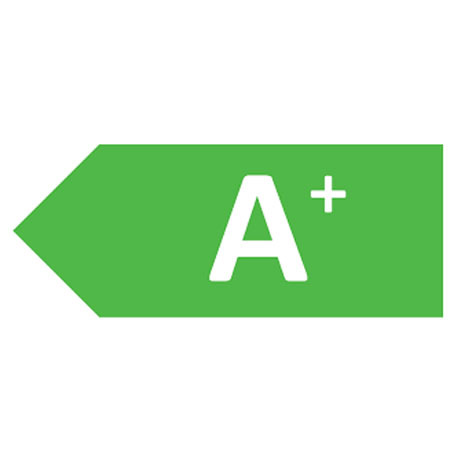 It’s been rated A for energy efficiency, which means it’s kinder to the environment as well as your electricity bills. This oven has been designed to be hardwired when installing. But thanks to a 13 amp fuse rating, if you wish to do so you’ll be able to adjust this oven to simply plug in and go.